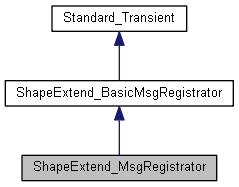 Attaches messages to the objects (generic Transient or shape). The objects of this class are transmitted to the Shape Healing algorithms so that they could collect messages occurred during processing. Messages are added to the Maps (stored as a field) that can be used, for instance, by Data Exchange processors to attach those messages to initial file entities. Returns a Map of shapes and message list. Returns a Map of objects and message list. Sends a message to be attached to the object. If the object is in the map then the message is added to the list, otherwise the object is firstly added to the map. Sends a message to be attached to the shape. If the shape is in the map then the message is added to the list, otherwise the shape is firstly added to the map.